In my mailbox last week I received one of my favourite new toys. You heard right, it’s a toy for me and not the kids for once (but try enforcing that one at home!) Careful reading on though, as you are going to want these for yourself. You might remember a while ago Katrina wrote about her family of Naked Peggies. 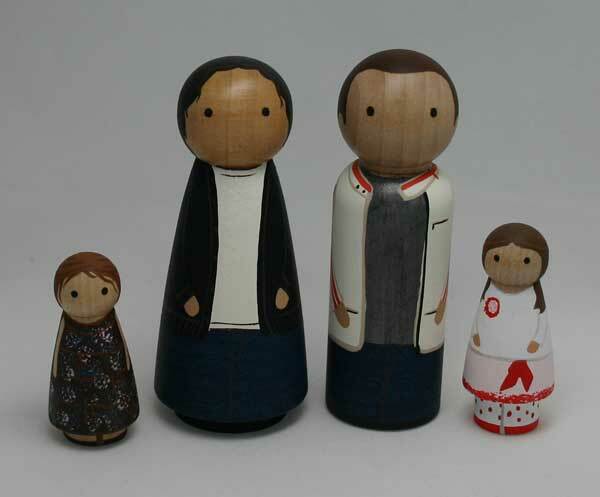 Ever since I saw the Whelen family of wooden dolls I have wanted my own so finally sent off a few family snaps to the talented Suzy Bridgham, and she sent me a miniature set of my family in the mail. 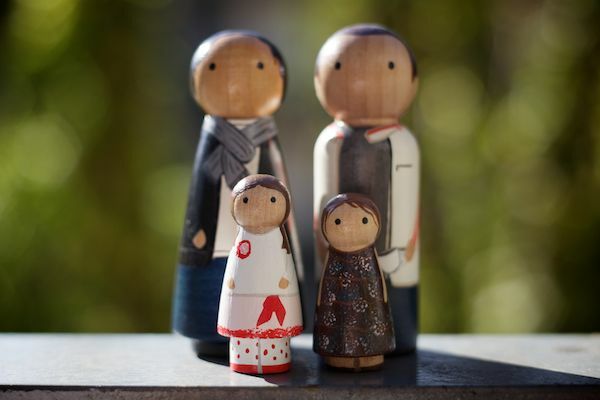 The personal touches is what makes these dolls so special. Meet the Gunsberger family – my husband with his favourite jacket and an espresso cup in one hand, my four-year-old with her Princess Ratbag pettiskirt and matching flower, my three-year-old in her favourite brown dress that only ever comes off for a wash, and then there is me. The attention to detail is what makes these dolls so special, down to the hair colour and style, glasses, jewellery and whatever else you’d like on your custom dolls. My only issue is when my girls walk off with one of ‘my’ dolls. Of course, I panic that we have lost ‘Hayley’ or ‘Polly’ somewhere is the house and need to search the toy boxes to find them. 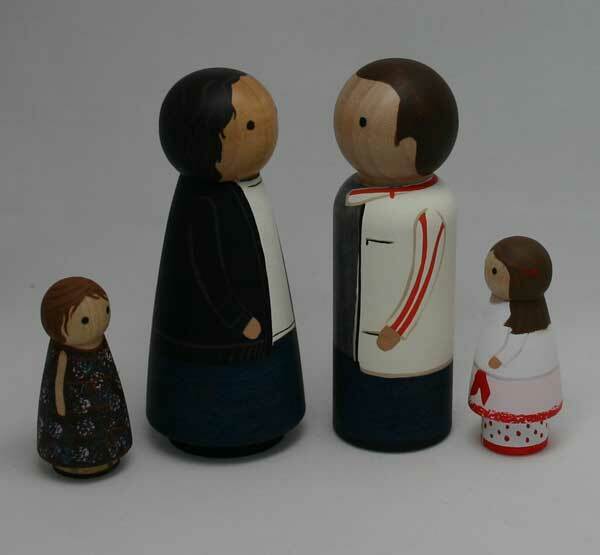 A custom made family of four starts at US$65. Contact Naked Peggies through the Etsy shop to order. Go on, you know you want them!